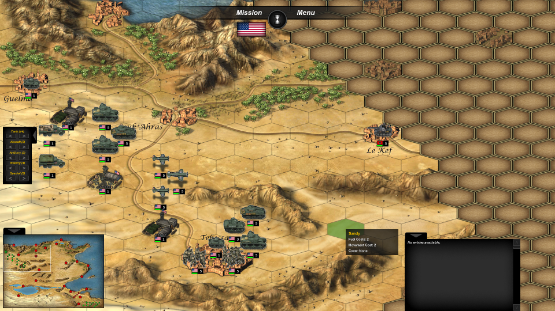 Tank operations European campaign; It’s a tanky game, well a single player turn based hex mapped tactical war-game to be more accurate.It’s developed by a small group of German Developers called Linked dimension and published by Kalypso Digital Media. I think it’s important to say that these hex based war games have carved themselves a solid niche and a dedicated fan-base over many years, the “Panzer general” series by “SSI” and “Panzercorps” by “Slitherine” spring to mind. Don’t expect the frantic action of a real time strategy because this is a far more cerebral conflict, this is strictly for the armchair general not the keyboard warrior. With that proviso in place let’s have a look at the game? As I mentioned it’s a niche genre so it has to be similar to its predecessors. We are taken to the later stages of the Second World War, as the Allies pushed Axis forces back to Berlin. 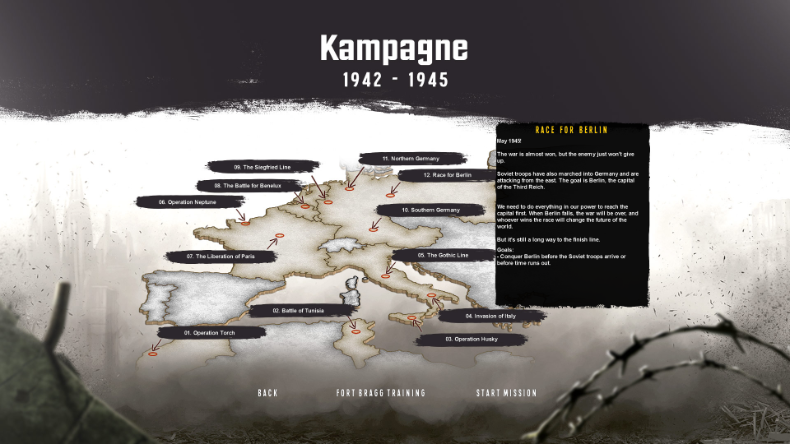 The twelve campaign scenarios will take you round the major battles of the conflict from the beaches of Normandy, the liberation of Paris to the storming of Berlin. 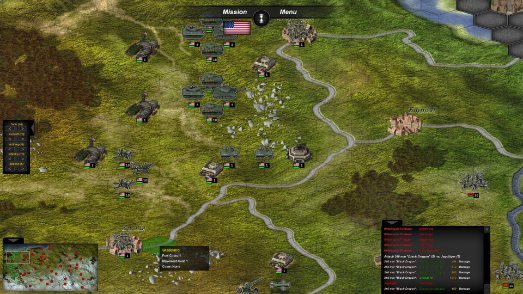 You play as the allies and have 50 famous military units of the time available to you. Graphically it is not outstanding, as that’s not what these games are about they are a set of rules, a set of sprites and a table top and not much more is asked or required. However the screens are smart enough and do set the atmosphere. The coloured writing against a black background however was really annoying and very difficult to read, i only bring such a specific quibble up because it was so damn hard to read and that could use changing. The blocky hexagonally tiled fog of war was also rather distracting. The effects and epic score are atmospheric enough, whilst thankfully not becoming distracting or repetitive. What I really did like however was how simple the core mechanic where, it’s just left click to select and right mouse-click to execute an order. It has a couple of popup menus to tell you what the enemy did, a button to end your turn and a mini map. That’s not to say the game doesn’t have its complexities but they have been sensibly tucked into the units as special abilities and covert skills rather than on the GUI. i think it’s lighter and a little more arcadeish than panzer commander et al and if it freshened up the formula a bit that would be a good thing. Another fun aspect is your supply chains. To begin with the fuel and ammo trucks can cope pretty well, but as you advance you will find yourself needing to pay attention to keeping the guns firing and the armor rolling. Time shrinks when you play these tactical war-games and a surprising amount of re-playability comes from second guessing your own decisions. The battles may be long but they don’t feel long-winded due to the streamlined mechanics. Overall I’m enjoying this “it’s a touch of me” as they say. I have always been a WWII fan and I even enjoying collecting and painting miniature German armor. Would anyone enjoy it? Probably not I think you would have to like the format. I would say this is perhaps a good first foray into turn based strategy for the younger player. For most people I would give this three and say “try it” but as I assume you are reading this because you do like the genre I’ll give it a four. 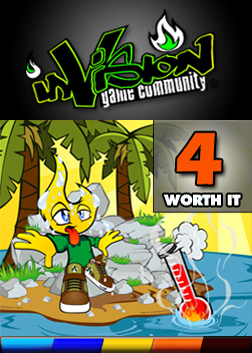 It’s not an expensive game and it will give you a lot of gameplay, it does need some polish, but not much.